An authoritative restore is most commonly used when you want to revert the changes that is made within the directory, consider the scenario you have deleted an organization unit or any of the objects by mistake and you want to get it back. This process restores the DC from the backup and then overwrites all other domain controllers in the network to match the restored DC (through replication). Even if the authoritatively restored replica set is older than the current replicas, the older data is replicated to all of its replication partners. The especially valuable thing about this is that you can choose to only make certain objects within the directory authoritative. For example, if you delete an OU by mistake you can choose to make it authoritative. This will replicate the deleted OU back to all of the other DC’s in the network and then use all of the other information from these other DC’s to update the newly restored server back up to date. A) Restore before deletions have Replicated. B) Restore after deletions have Replicated. In this article I will describe about restoring the object after the replication has occurred. In this case you must first initiate the non- authoritative restore and once it is completed successfully, you can start authoritative restore. Let us consider the scenario that I have accidently delete one user, named as 'Livin' which is under the default container 'Users' and I want to restore this object to the domain. Note that my domain name is 'serverlabs.com'. I have only one backup of the server . From the list, note down the version identifier of the latest backup that you want to restore. That is for me the version identifier will be 04/22/2014-15:40. 5.Wait for this process to complete. You will see the status on the same command prompt itself. Do not reboot the server since we need to perform authoritative restore. 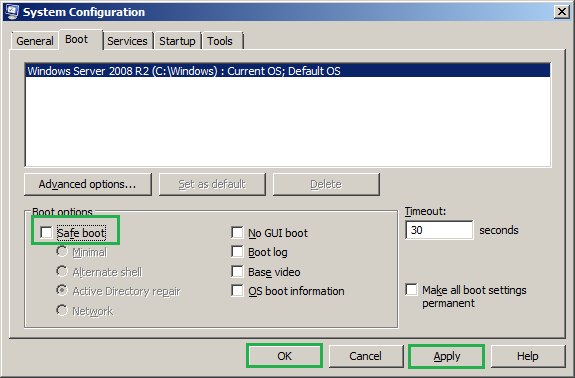 6.Open command prompt, here the command line tool ntdsutil will help you to go further. Now type ntdsutil and press ENTER. 7.Now you are at ntdsutil prompt, type activate instance ntds and press ENTER. 8.At ntdsutil prompt type authoritative restore and press ENTER. Generally we will use two commands here that are restore object and restore subtree. The restore object comes in use, when you want to restore an object that is deleted (User, computer etc)and restore subtree is when you want to restore an entire OU or a container. 9.As discussed earlier I want to recover one of my deleted user 'Livin' under the OU 'users'. 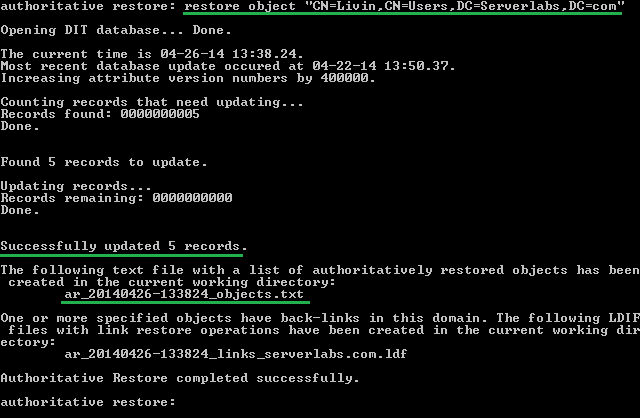 So type restore object CN=Livin,CN=Users,DC=serverlabs,CN=com and press ENTER. 10.Click YES on authoritative restore confirmation dialogue to start the process. 11.Once the process is completed you will have the success message and the windows will be as follows. The log files that indicates the restored object will be available in the current working directory specified in command prompt. This operation increments the update sequence number (USN) of this object so that all other DCs consider it the most recent change. 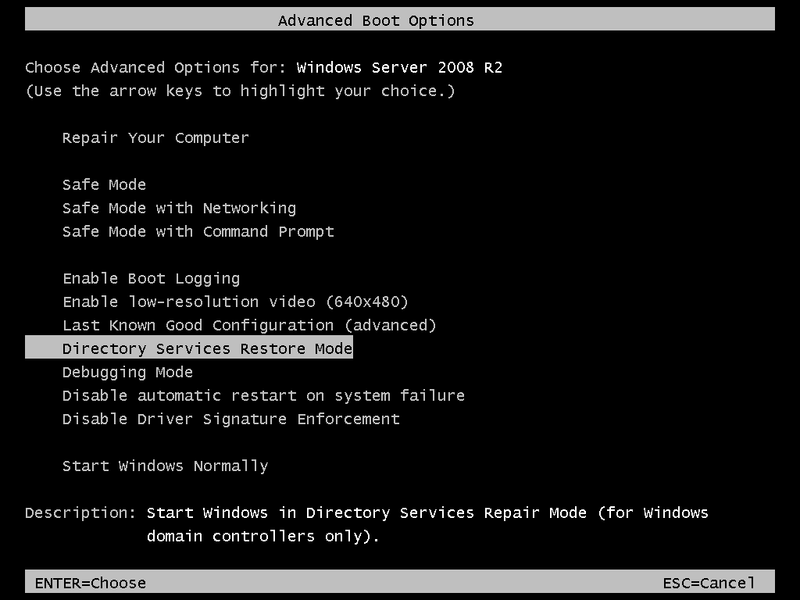 12.If you were initiated the server to reboot into directory service restore mode(DSRM) as per the steps in 1ii and 1iii the server will again boot into DSRM mode. In order to boot the server as normal, after initial reboot login with DSRM user name and password. You will have the below prompt now, press ENTER to close the window. 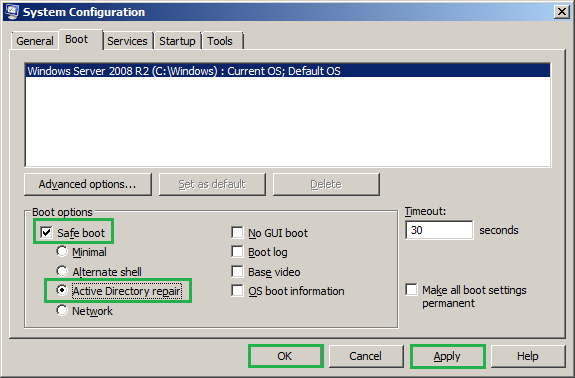 Note: Remember to locate your command prompt to the directory where your LDIF file is available and you must specify the LDIF with its extension(ldf). Now you can check whether the object is restored in the your network.